Well, this hasn't exactly been my most relaxing Sunday in history. But, the holiday season will do that to you. I spent another wonderful day celebrating Christmas with my family in Ohio, and it is always great to catch up with everyone. But, I still found time to do some reading and catching up on fun event planning emails. Time to share! Not my thing - but totally stylish. These are definitely dark romance at it's best. Hosting a green event but still craving elegance? 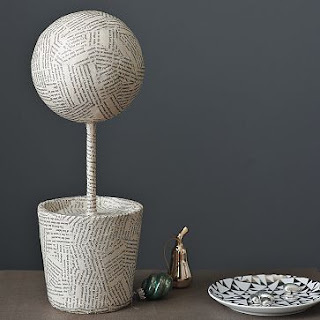 These recycled newspaper topiaries might do the trick! 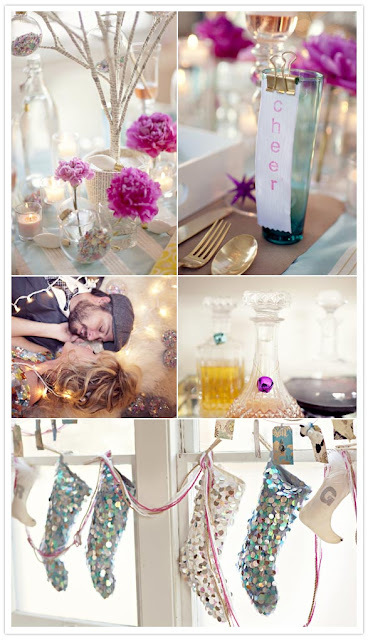 Party season is well underway and this article really demonstrates the way to throw a "proper party". If you still aren't in the holiday spirit, this sparkly, Christmas shoot will turn that right around! We heart 100 Layer Cake! I am hosting some guests myself tonight, so off to create some simple snacks for the crowd!